Sara Vatore is Somatic Experiencing® Practitioner and Coach, Somatic Educator, Certified Nia White Belt Instructor and MELT Method instructor. Embodiment Specialist working with women to build capacity and resiliency in their nervous systems for optimum health and healing. Life just doesn’t have to be so hard. The secret to preventing burn out while expanding your CAPACITY to experience LIFE. Supporting women to expand their capacity, embody their confidence and step into greatness so they can shine their light brightly into the world. Do you feel like you are always on alert, exhausted, burned out, stressed out or in pain? Do you have trouble relaxing or deeply resting, even though your body could probably sleep for days? Can you recognize yourself repeating the same patterns, but can’t quite seem to make that shift? What would it be like to feel more calm AND have more energy? Welcome, my name is Sara and I have got you covered! I help women who are craving a new way to be in the world. I have first hand experience rewiring my own nervous system, where I went from a hyper anxious, to-do list focused, stressed out, confused perfectionist, to uncovering a way of life deeply plugged in and connected to EASE, CALM and FLOW. I was completely shutdown in various parts of my life (intimacy, emotional connection, body sense) which I have transmuted into embodied presence, connection and deep conscious relationships. As a woman with a full life navigating chronic pain and autoimmune issues, running a multi-passionate business, a mom of two unique kiddos (13 and 5), who also has her own needs, visions, desires and dreams, I’ve uncovered how to make a permanent shift from barely keeping my head above water, to THRIVING. Flowing with the unfolding of life while moving with intention, authenticity, confidence and ease in the world. By working with my stress physiology, nervous system regulation, the quantum field, embodiment, connective tissue hydration, psychological functions, cycles, seasons and elemental connection, and my personal rituals and movement practice, I am uncovering what works best for my unique system to BE connected, embodied and free. I am so excited to share what I have learned with you. When we are stressed, our bodies and systems are working in OVERDRIVE to produce the important survival chemicals. Our culture is such that we perpetuate this chronic urgent go-go-go and more-more-more. With all the stimulation and conditioning that is saturating our environment we get stuck in barely surviving. However, we are not designed to LIVE, let alone THRIVE when our system is continuously pumping adrenaline and cortisol. It is NOT good for our bodies and over time things BREAK DOWN and SHUT DOWN. Challenges processing or sitting with emotions. There are things you can do to support the resiliency and capacity of your body to function at the highest level possible! When we support the health of our NERVOUS SYSTEM EVERYTHING else can function optimally. I am hydrated and nourished. I have a new orientation to pain and discomfort. I process and feel my emotions without being overwhelmed. I know and hear my limits. I know my wants, desires and needs. I can vocalize my truth. I am comfortable with confusion. I can rewire old patterns with ease. Are you ready to have more energy, clarity, and feel connected to your inner knowing? Sara Vatore, M.Ed., BCC, SEP is a Somatic Experiencing® Practitioner and Coach, Certified Nia White Belt Instructor, MELT Instructor and a Peak Performance Coach. She is the Lead Faculty Director and Somatic Educator with Lead Yourself Youth. She recently published a chapter called “Body (Soma) Wisdom” in the book: The Call of Self: Psychosynthesis Life Coaching. Through her understanding of the nervous system and the body, Sara helps her clients build capacity and resiliency in their systems, to more dynamically and easily negotiate life challenges, overcome fears and blocks and set and manifest goals. She is passionate about the synthesis of her years of studying different modalities, overall life experience and personal journey to utilize as a gateway to help others uncover more fulfillment and ease in their life. 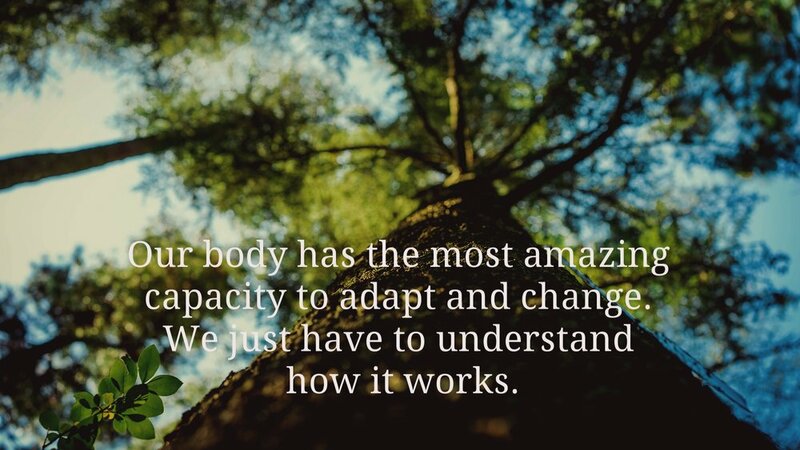 Sara believes that the body is an incredibly intelligent organism and we all have the capacity to understand intricately how it operates and the innate ability to tap into and embody its wisdom.